A very serious security problem has been found in the Intel CPUs. Meltdown CPU Vulnerability CVE-2017-5754 breaks the most fundamental isolation between user applications and the operating system. This attack allows a program to access the memory, and thus also the secrets, of other programs and the operating system. How do I protect my Linux server and laptop/desktop against the Meltdown and Spectre vulnerabilities on Linux? A very serious security problem has been found and patched in the Linux kernel. It was announced on 3rd January 2018. It was independently discovered and reported by various teams including Google Project Zero. 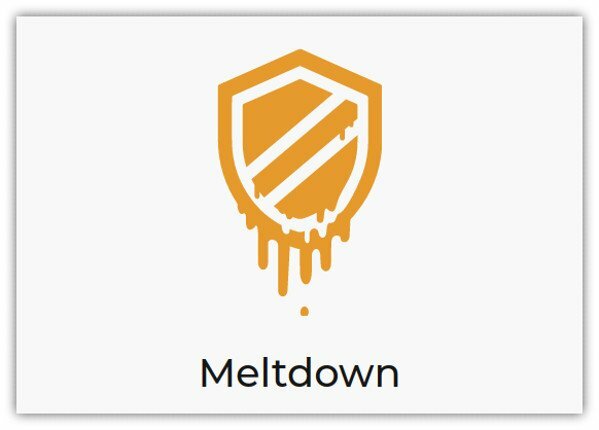 What is the Meltdown security bug in Intel cpus? Processors give the illusion of a sequence of instructions executed one-by-one. However, in order to most efficiently use cpu resources, modern superscalar processors actually begin executing many instructions in parallel. In cases where instructions depend on the result of previous instructions or checks which have not yet completed, execution happens based on guesses about what the outcome will be. If the guess is correct, execution has been sped up. If the guess is incorrect, partially-executed instructions are cancelled and architectural state changes (to registers, memory, and so on) reverted; but the whole process is no slower than if no guess had been made at all. This is sometimes called “speculative execution”. There are three primary variants of the issue which differ in the way the speculative execution can be exploited. Variant CVE-2017-5754 relies on the fact that, on impacted microprocessors, during speculative execution of instruction permission faults, exception generation triggered by a faulting access is suppressed until the retirement of the whole instruction block. In a combination with the fact that memory accesses may populate the cache even when the block is being dropped and never committed (executed), an unprivileged local attacker could use this flaw to read privileged (kernel space) memory by conducting targeted cache side-channel attacks. Note: CVE-2017-5754 affects Intel x86-64 microprocessors. AMD x86-64 microprocessors are not affected by this issue. This page documents a current security event affecting many modern microprocessor designs. Information may change rapidly as the event progresses, and more info or commands added here soon. It will be released soon. When you run ‘apt-get upgrade’ or ‘yum update’ command make sure kernel package such as linux-image (Debian/Ubunt) kernel (RHEL) is updated. You need to update kernel version and reboot the server. The following shows how to patch and apply updates for popular Linux distros. Resolving Dependencies --> Running transaction check ---> Package iwl100-firmware.noarch 0:39.31.5.1-56.el7 will be updated ---> Package iwl100-firmware.noarch 0:39.31.5.1-57.el7 will be an update ---> Package iwl1000-firmware.noarch 1:39.31.5.1-56.el7 will be updated ---> Package iwl1000-firmware.noarch 1:39.31.5.1-57.el7 will be an update ---> Package iwl105-firmware.noarch 0:18.168.6.1-56.el7 will be updated ---> Package iwl105-firmware.noarch 0:18.168.6.1-57.el7 will be an update ---> Package iwl135-firmware.noarch 0:18.168.6.1-56.el7 will be updated .... ... Dependencies Resolved ======================================================================================== Package Arch Version Repository Size ======================================================================================== Installing: kernel x86_64 3.10.0-693.11.6.el7 updates 43 M Updating: iwl100-firmware noarch 39.31.5.1-57.el7 updates 152 k ... .. python-perf x86_64 3.10.0-693.11.6.el7 updates 5.1 M qemu-img x86_64 10:1.5.3-141.el7_4.6 updates 678 k qemu-kvm x86_64 10:1.5.3-141.el7_4.6 updates 1.9 M qemu-kvm-common x86_64 10:1.5.3-141.el7_4.6 updates 416 k Removing: kernel x86_64 3.10.0-514.21.2.el7 @updates 148 M Transaction Summary ======================================================================================== Install 1 Package Upgrade 48 Packages Remove 1 Package Total download size: 117 M Is this ok [y/d/N]: y Downloading packages: Delta RPMs disabled because /usr/bin/applydeltarpm not installed. (1/49): iwl100-firmware-39.31.5.1-57.el7.noarch.rpm | 152 kB 00:00:00 .... .. microcode_ctl.x86_64 2:2.1-22.2.el7 python-perf.x86_64 0:3.10.0-693.11.6.el7 qemu-img.x86_64 10:1.5.3-141.el7_4.6 qemu-kvm.x86_64 10:1.5.3-141.el7_4.6 qemu-kvm-common.x86_64 10:1.5.3-141.el7_4.6 Complete! Need to get 0 B/38.8 MB of archives. After this operation, 190 MB of additional disk space will be used. Selecting previously unselected package linux-image-4.9.0-5-amd64. 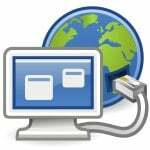 See “How to install/update Intel microcode firmware on Linux” for more info. After reboot make sure your Linux server/box patched and not vulnerable any more with spectre-meltdown-checker.sh. none of them are fixed, so the upgrade doesn’t help at all (yet). The instructions in the article will not do anything to fix Meltdown on Debian systems until Debian package maintainers release updated kernel packages with the KPTI patch. They currently have not released any updated kernel packages. The only stable Linux kernel with KPTI is 4.14.10. The latest kernel package in any Debian release is 4.14.7-1 which is in Buster and Sid releases. Before updated kernel packages are released for those Debian releases, the KPTI patch first needs to make it into those Linux versions. so update/upgrade will do nothing. After you do the yum update and reboot, how can you confirm the patch has been applied? FYI, only RHEL 7/CentOS 7 has patches. For rest (like CentOS 6/RHEL 6/Oracle 6/7/SL 6/7) you have to wait for day or two. Isn’t #yum update kernel will do the needful ?? yes, but it is a good idea to patch whole system. Currently (1.4.2018) this not a solution for debian because kernel still not fixed! On my recent centos7 there is no application called ‘dnf’ so the last step doesn’t work. Read page carefully, ” Run the following dnf command if you are using a Fedora Linux:”. Only run that if you are using a Fedora Linux. Got it? 2. Open your browser with a blank page. 3. Go to your trusted bank webpage and do your banking. 4. Restart your computer — any sensitive information in the CPU’s memory will have been lost. I’ve also read your article to update Intel microcode firmware on Linux. Are both -Ubuntu Kernel and Intel microcode- updates necessary? Are they alternative? Are they complementary? yes, it is recommended that you apply kernel patch, bios update (if released) and intel/amd microcode update. All of three need a reboot tho. You might get performance problem too depending your workload.